Sixty-nine academics, practitioners and policymakers from across the social sciences are now fellows of Britain’s Academy of Social Sciences the venerable society announced Thursday. “Each new distinguished fellow has been recognised for their outstanding and impactful contributions in their respective fields, and will prove invaluable additions to the range of expertise within the academy,” Roger Goodman, the chair of the academy, said in announcing the conferments. Fellows are chosen after an extensive peer review process for the excellence and impact of their work using social science for public benefit. A full list of current fellows is visible here. The deadline for the academy to receive nominations for the next round is November 24; nominations may be submitted at any time. Svenja Adolphs | Professor of English language and linguistics at the University of Nottingham. Adolphs is an internationally renowned scholar in the field of applied linguistics with particular interest in the fields of education, the digital economy, health sciences and business communication. Claire Alexander | Professor of sociology at the University of Manchester. Alexander is a leading scholar in the broad field of race and ethnic studies, with a particular focus on young people from black and minority ethnic backgrounds. Michael Baynham | Emeritus professor of teaching English to speakers of other languages at the University of Leeds. Baynham is a leading figure in the study of literacy, language and the sociolinguistics of migration and mobility. Frans Berkhout | Professor of environment, society and climate at King’s College London. Berkhout, chair of UK Future Earth, is internationally known for his work on environment, society and climate. William Bowring | Professor of law at Birkbeck, University of London. Bowring is a leading expert in the UK on legal and human rights issues in Russia, both in practice and in theory. David Buchanan | Emeritus professor of organizational behavior at Cranfield University School of Management. Buchanan is a pioneer in the fields of organization behavior, change management and organization politics. Pamela Campanelli | Survey methods consultant and UK chartered statistician. Campanelli is a highly regarded international expert in the field of survey methods. Rebecca Chiu | Head of the Department of Urban Planning and Design at the University of Hong Kong. Chiu is an expert on housing development and urban sustainability issues, especially housing and urban policies in Asia. Peter Clinch | Jean Monnet full professor and chair of public policy at University College Dublin. Clinch is a leading Irish planner and researcher with particular interests in economic policy, economic renewal, and environment. He is also a senior adviser to the Irish government on competitiveness, trade and economic policy. Simon Collinson | Professor of international business and innovation at the University of Birmingham. Collinson is an eminent scholar in particular in the areas of knowledge networks and technology based firms. Paul Connolly | Professor of education at Queen’s University Belfast. Connolly is a pioneering researcher in the fields of race and ethnicity of young children. Davina Cooper | Professor of law and political theory at the University of Kent. Cooper is internationally known for her work on the British state’s relationship to sexuality. Viviene Cree | Professor of social work studies at the University of Edinburgh. Cree is a leading figure in social work research with special interests in talking and listening to children, and in the question of moral panics. Jonathan Crook | Professor of business economics at the University of Edinburgh. Crook has an international reputation in the area of credit risk modelling and the economics of consumer credit. Emma Donaldson-Feilder | Occupational psychologist and director of affinity health at Work. Donaldson-Feilder is a leading practitioner psychologist, applying psychological science in practice to support health at work. Joanne Duberley | Professor of organisation studies at the University of Birmingham. Duberley is one of the leading figures in the field of career studies in the UK and internationally. Simon Duncan | Professor emeritus in comparative social policy at the University of Bradford. Duncan has been a leading interdisciplinary figure looking at housing, and family relationships and economics. Keri Facer | Professor of educational and social futures at the University of Bristol. Facer is a pioneer in the field of educational futures, looking at educational policy and practice in relation to environmental, technological and economic changes. Colette Fagan | Vice-president for research and professor of sociology at the University of Manchester. Fagan is a leading researcher in the field of international comparative analysis of gender relations and inequalities in employment, working conditions and family life. LISTEN TO SARAH FRANKLIN’S SOCIAL SCIENCE BITES INTERVIEW! Sarah Franklin | Professor of sociology at the University of Cambridge. Franklin is a globally leading writer in the social aspects of new reproductive technologies. Trevor Gale | Professor of education policy and social justice at the University of Glasgow. Gale is an international figure in the field of education policy and social justice. Rachel Griffith CBE | Professor of economics at the University of Manchester. Griffith is a leading economist working on the relationship between government policy and economic performance, with specific interests in the supermarket industry. Anthony Hall | Emeritus professor of town planning at Anglia Ruskin University. Hall is a leading scholar and practitioner of planning and urban development, with a particular interest in development control procedures. Richard Harris | Professor of quantitative social geography at the University of Bristol. Harris is one of the key researchers worldwide in quantitative geography, with particular interests in geodemographics, voting behavior, social segregation, housing markets and urban spatial structure. Marianne Hester OBE | Chair in gender, violence and international policy at the university of Bristol. Hester is one of the UK’s pre-eminent researchers on gender-based violence, including child contact arrangements. Simona Iammarino | Professor of economic geography and head of department at the London School of Economics and Political Science. Iammarino is a leading light in economic geography with particular interest in multinational corporations, geographies of innovation and technical change as well as regional and local development and policy. Mark Israel | Adjunct professor, political science and international relations at the University of Western Australia. Israel is a key writer on research ethics and integrity in social science, criminology and socio-legal studies. Robyn Jones | Professor of sport and social theory at Cardiff Metropolitan University. Jones is one of the leading figures in sports pedagogy studies, and a pioneer of the sub field of the critical sociology of sports coaching. Andrew Kendrick | Professor of residential child care at the University of Strathclyde. Kendrick is a leading figure in the field of child welfare and residential care, with particular focus on historic abuse of children in care. Martin Kitchener | professor of organisation studies at Cardiff University. Kitchener is a leading researcher in organisational theory in relation to healthcare organisations. Susanne Küchler | Professor of anthropology at University College London. 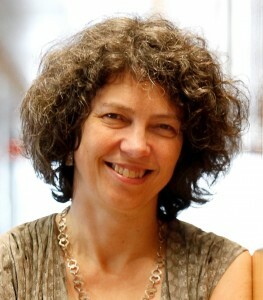 Küchler is a leading anthropologist with a global reputation for her work in particular on Melanesian and Pacific art and the interface between anthropology and contemporary mathematics. Heather Laurie MBE | Pro vice-chancellor (research) at the University of Essex. Laurie is a leading sociologist in particular on women’s labour market participation and the distribution of resources within household and associated dynamics. 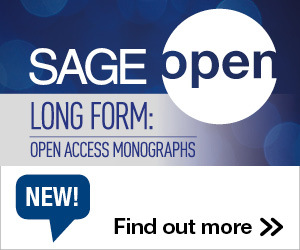 She played a pivotal role in the development of the ESRC’s British Household Panel Survey. George Chu-sheng Lin | Chair of geography at the University of Hong Kong. Lin is a leading scholar of geography with particular interests in China geography and Chinese cities. LISTEN TO SONIA LIVINGSTONE’s SOCIAL SCIENCE BITES INTYERVIEW! Sonia Livingstone OBE | Professor of social psychology at the London School of Economics and Political Science. Livingstone is a notable figure in the field of media and communications. She was awarded the OBE for services to children and child internet safety. Vivien Lowndes | Professor of public policy at the University of Birmingham. Lowndes is a leading contributor to the understanding of institutional theory in public policy and governance. Celia Lury | Professor and director of the Centre for Interdisciplinary Methodologies at the University of Warwick. Lury is a pioneering researcher in the sociology of culture, with particular interests in consumer culture and branding as a cultural force. Peter Lynn | Professor of survey methodology at the Institute for Social and Economic Research, University of Essex. Lynn is the leading survey methodologist in the UK, bridging academic work and applied survey research. Fiona Magowan | Professor of anthropology at Queen’s University Belfast. Magowan is a pioneering researcher with particular interests in ethnomusicology, religion, gender and arts and performance, with recent work on the role of sound and music in the contexts of conflict transformation and peacebuilding. Jackie Marsh | Professor of education at the University of Sheffield. Marsh is a pioneer in the field of young children’s digital literacy practices and their engagement with virtual worlds. Natasha Mauthner | Professor of social science philosophy and method at the University of Aberdeen Business School. Mauthner is a key figure in the development of critical social science through methodological innovation, in particular qualitative research. Mariana Mazzucato | Professor in the economics of innovation and public value at University College London. Mazzucato is one of the most prominent social science voices in UK and international debates about financial markets, innovation and economic growth. Timothy McNamara | Redmond Barry Distinguished Professor, School of Languages and Linguistics at the University of Melbourne. McNamara is one of the world’s leading applied linguists, best known for his work on the socio-political dimensions of language testing for citizenship, migration and asylum and indigenous communities. Geoffrey Meen OBE | Professor of applied economics at the University of Reading and former government economist. Meen is a leading specialist in the economic and policy analysis of housing markets from the local to national levels. Paul Miller | Professor of educational leadership and management at the University of Huddersfield. Miller is a leading authority in the field of educational leadership, in particular the topic of discrimination faced by BME teachers in attaining leadership roles in UK schools. Arthur Nelson | Professor of planning and real estate development, and geography and regional development at the University of Arizona. Nelson is one of the outstanding leaders in the US as a practising planner, researcher, educator and adviser to public officials, with a particular focus on the benefits of good design of urban containment and growth management systems. Alan Paterson OBE | Professor of law at the University of Strathclyde. Paterson is a leading international expert on appellate judges and the pre-eminent authority on the UK House of Lords and Supreme Court. Adrian Penfold OBE | Head of planning at British Land. Penfold is a practitioner with particular expertise in the development consent system, place-making and major mixed-use development. He was awarded the OBE for services to the property industry and public service to planning. Stephen Platt | Emeritus professor of health policy at the University of Edinburgh. Platt is the leading UK figure in the field of understanding suicidal behavior/self-harm and mental health. Sally Power | Co-director of the Wales Institute of Economic Research, Data and Methods and director, WISERD Education at Cardiff University. Power is a significant writer in the sociology of education, particularly known for her work on the introduction of market reforms in England and elsewhere, and on the relationship between education and the middle class. Zoe Radnor | Professor of service operations management at the University of Leicester. Radnor is a leading and pioneering researcher in the field of public service operations management. Justin Rosenberg | Professor of international relations at the University of Sussex. Rosenberg is a leading scholar in IR theory, and is particularly known for his work on the critique of realism, globalisation, and the idea of uneven and combined development. Andrew Sanders | Professor of criminal law and criminology at the University of Sussex. Sanders is an eminent criminologist and a leading authority on prosecutions. Karl Spracklen | Professor of music, leisure and culture at Leeds Becket University. Spracklen is a pre-eminent scholar in the subject field of leisure studies and a world leader in the development of leisure theory, with particular interests in metal music. William Spurlin | Professor of English at Brunel University London. Spurlin’s interdisciplinary scholarship in queer studies has been pivotal in its advancement as an established discipline. Jeanette Steemers | Professor of culture, media and creative industries at King’s College London. Steemers is a leading figure in the political economy of children’s media, international distribution of screen media, public service broadcasting, production studies and media industries. Wendy Sykes | Director, Independent Social Research. Sykes is a highly distinguished social researcher, closely involved in the development of innovative methodological techniques and standards. Brian Taylor | Professor of social work at Ulster University. Taylor is a key researcher and teacher on decision making, assessment, risk and the use of knowledge in social work. Vera Tolz | Sir William Mather Professor of Russian Studies at the University of Manchester. Tolz is a leading authority in Russian Studies with particular interests in ethnicity, identity and national building from Imperial Russia to the present day. Susan Van Scoyoc | Consultant psychologist. Van Scoyoc is a practitioner chartered psychologist and educator, providing and training others in provision of expert witness, as well as working to improve policy. Peter Waldron | Professor of modern history at the University of East Anglia. Waldron is a leading UK scholar of modern Russia, in particular the government and politics leading up to the First World War and Revolution. Craig Watkins | Professor of town and regional planning at the University of Sheffield. Watkins is an applied economist who has made major contributions to the economic analysis of land and housing markets. Matthew Weait | Professor of law and society at the University of Portsmouth. Weait is a pioneering interdisciplinary socio-legal scholar in the field of criminal law relating to HIV transmission and exposure and to people living with HIV and AIDS. Stephen Webb | Professor of social work at Glasgow Caledonian University. Webb is a global leader in social work research, whose work frames the field. Cynthia Weber | Professor of international relations at the University of Sussex. 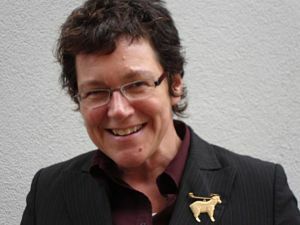 Weber is a distinguished scholar of political science and international relations, with particular pioneering contributions to feminist theory, gender and sexuality studies, and queer studies. Teresa Williams | Director of social research and policy at the Nuffield Foundation. Williams has been an influential figure in both government and social research and has played a leading role in raising the profile of social science and government social research in government. Wei Yang | Founding director Wei Yang and Partners, London. Yang is a renowned Chinese-British urban designer and master planner, who is known for innovative urban design. She is active in promoting joined up thinking between different built environment professionals. 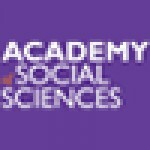 This entry was posted in Recognition and tagged Academy of Social Sciences. Bookmark the permalink. Post a comment or leave a trackback: Trackback URL.